Three summers ago, I learned a valuable lesson-when travelling, be good to your skin and hair! I was in Shanghai for a few weeks and brought along my usual arsenal of beauty randoms. By randoms, I mean a mismatched collection of skin and hair care samples that I only use away from home due to their TSA friendly sizes. On the trip, my skin turned oily, blotchy, and broke out like Anna Dello Russo in t shirt and jeans. My hair was frizzy and dry and was up in a ponytail the entire trip. My skin was such a hot mess it took six months of post-trip rehab (special facials and laser treatments) to bounce back to normalcy. Lesson learned-when it comes to skin and hair maintenance, never take shortcuts because the detour will inevitably lead straight to beauty purgatory. Nowadays, I strategically devise beauty routines specifically tailored to my travel destinations so my skin and hair never go on vacation. For my recent Europe trip, here are the products I used to address my travel specific concerns. Problem: Puffy face and eyes due to high altitude flights and inevitable spikes in sodium and alcohol intake. Solution! Cellex-C Lift Effect Serum. I felt my skin tightening immediately after using the serum especially around the eye area. It's non-oily and is easily absorbed into the skin. I noticed in my pictures that my face look less bloated than usual. With regular use, it can firm up, tighten and redefine the jaw and neckline. Solution! Lancome Genifique Youth Activating Concentrate followed by Arcona Magic White Ice. The serum is probably the best hydration serum I've ever used. It goes on light and infuses just the right amount of moisture without any stickiness or oiliness which means the serum penetrates the skin and doesn't just stay on the surface. Arcona Magic White Ice replaces my Creme de la Mer moisturizer when travelling as the applicator tip is travel friendly. It feels invisible on my skin and balances out my combination skin which means goodbye oily AND dry patches! Problem: Voluminous untamable mushroom cap hair as I don't bring styling tools (flat iron, curling iron) when travelling. Solution! Lee Stafford Argan Oil from Morocco. I've been a huge fan of argan oil for quite some time but never tried it as a deep conditioner. This product moisturized and hydrated my dry ends and kept the frizz and billowy volume out. I prefer using the deep conditioner to traditional argan oil as the product feels super lightweight and doesn't leave any build-up. My hair looked sleek and healthy. Solution! Unite Dry Shampoo. I've tried many dry shampoos and this one's my favorite so far. It soaks up oil without adding an annoying layer of white powder. It saved me so much time on this trip as I didn't have to wash my hair everyday. Just spray, brush, and go. Solution! Cle de peau Brightening Serum and Lanace Plus Whitening Sun Block. I've been using these two products religiously even after the trip. The serum really helps to even out my skin tone and lighten existing sun spots. The sun block has become one of my holy grail products! Lanace is a popular Shanghai based skincare line. The owner is a family friend so he brought over a bunch of products during his last visit. I'm in love with the sun block as it creates a bullet proof shield against sun rays and smooths out my skin while adding a subtle layer of porcelain sheen which means there's no need for foundation. Some really great tips! I would love to try the Lancome serum! 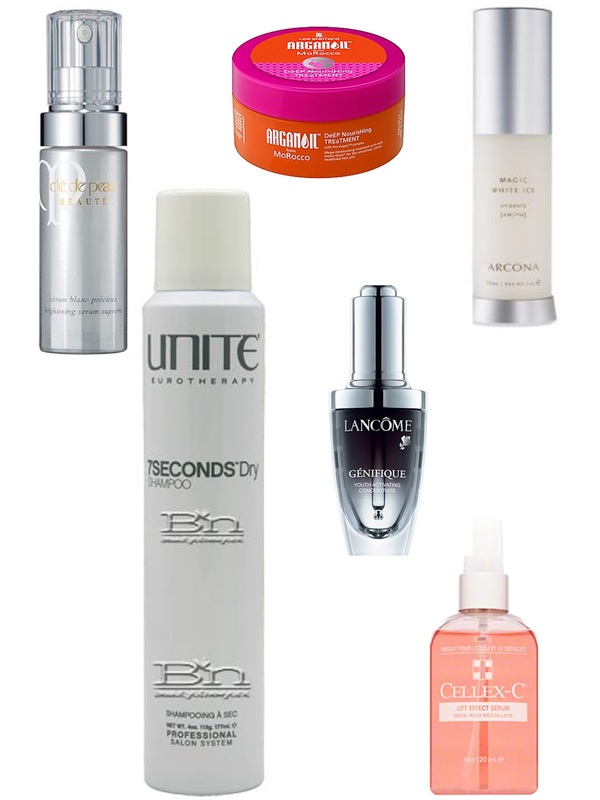 that cellex c serum sounds perfect for teh holidays! Wow, that's a great post. Everything on here, I Could probably use at some point! My skin is always terrible during and post travel! Hhow expensive are these items? Great write up... I need to stop by your blog more often! travel is experience of our life.So more travel at historical place.